Leadership training isn’t just for military generals and corporate CEOs. It can be highly beneficial to any individual no matter what their position in the organization. Learning important leadership skills can make your organization run smoothly with better efficiency and results. 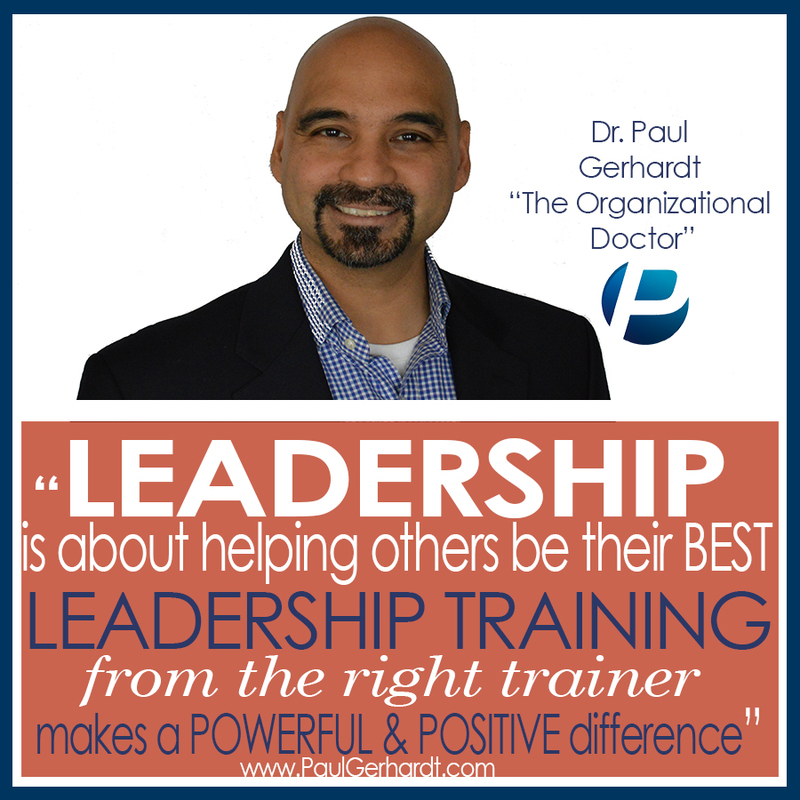 Dr. Paul Gerhardt has been delighting HR directors, tadalafil advice managers, and employees since 2000. His Leadership Workshops train and inspire every member of your firm to attain higher goals while skillfully dealing with challenges. These are the fundamental Leadership skills every team needs to work better, achieve more, and avoid damaging conflict. All too often, employees are struggling through their day without energy and suffering from poor motivation. This can be true even in the most respected companies. Dr. Gerhardt provides your staff with the tools and insights to give you 100% effort and efficiency every day. Sales and profits will climb as expenses related to conflict or and poor motivation diminish. Please contact our office to discuss having Dr. Paul Gerhardt present his popular workshops at your location. He is currently offering Leadership Development Workshops of four hours, six hours, and longer 2 day workshop.